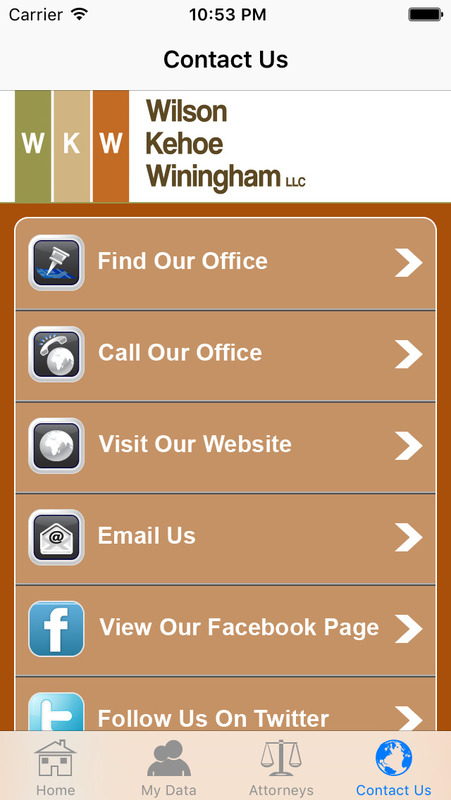 Why download the WKW Law Accident App? 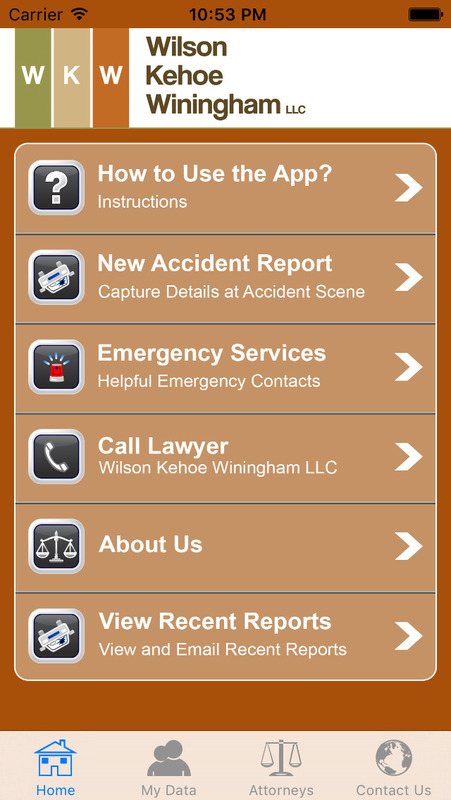 - Camera, voice recorder, text notepad and drawing pad provide all you will need to record all of the pertinent data about any moving vehicle accident. 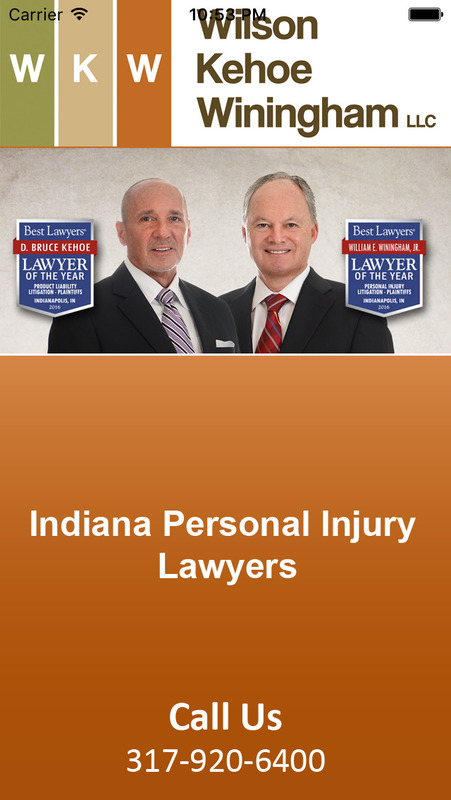 The two partners — Bruce Kehoe and Bill Winingham — built the firm on a foundation of doing whatever it takes to help an injured client. They are supported by a highly qualified staff that includes a legal nurse consultant, associate attorneys, paralegals, experienced investigators, legal research clerks, a videographer with full editing capabilities together with medical graphic and animation experts. This unusual combination of talents allows the firm's lawyers to aggressively pursue a case for a client.